Four club members made the trip to Huntington on Saturday, August 30. 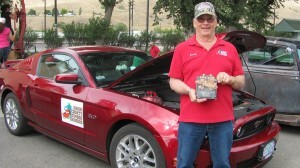 Congratulation to Jerry for winning the trophy for Best 1979 and Newer car category. 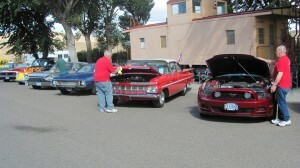 Jerry, Arlan, and Steve are hard at working cleaning their cars. Where are Wayne & SHeralyn? At breakfast!! !